Fuel prices across the country are already well over $3/gallon. Many experts are predicting significant increases in the price of gas and food this year, plus other daily necessities (commodities) and consumer goods. Why? Because as the cost of fuel goes up, the cost of transporting and delivering these goods is going up. Profit margins in the transportation and trucking industry are already very thin, so companies are going to be forced to pass these costs on to the consumer. According to the New York Times, prices for commodities such as corn, sugar, wheat, beef, pork and coffee are soaring. The price of cotton is at its highest level in over 10 years; leather and polyester are increasing as well. The price of copper has shot through the roof and reached its highest level inover 40 years. Iron ore, which is used to produce steel, is also commanding very high prices. The New York Times also reported that economists are saying the increases may eventually show up as inflation, though they are not yet projecting rates that should send people into a total state of panic. 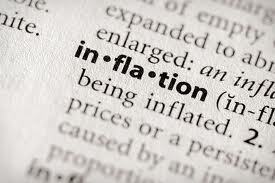 Despite some fears, inflation has been extremely low, at a rate of just 1.4 percent annually in December. Data for January will be released Thursday, but economists expect inflation will run about 2.5 percent this year. The cost of items such as meat, coffee and milk are expected to experience the highest increases, as these items are directly tied to the cost of raw materials. When costs first started to rise, many manufacturers and other companies along the supply chain were forced to absorb the increases. But now, many big companies such as Kraft and Hanes are saying that they can no longer afford to keep costs down. They are forced to pass these costs to the consumer. According to FieldLogix, an industry leading fleet management system, companies should invest in a GPS fleet tracking system to reduce fuel costs and increase productivity. The best GPS fleet tracking systems are designed to help companies reduce transportation costs, enhance workforce productivity, improve customer service, stopping wasteful driving habits, and also controlling carbon dioxide emissions. Look for a telematics enabled gps fleet tracking system that monitors vehicle performance, tracks fuel waste due to idling, sends speeding alerts, plus much more.